Two businessmen have been detained following allegations of assault peace officer, damage to property, discharging of a loaded firerearm and obstructing the Officers from executing their duties, the Guyana Police Force said. The incident occurred about 20:00hrs Sunday night at Battery Road, Kingston, Georgetown. “Investigation revealed that two police ranks were responding to a report of simple larceny in Kingston when they stopped an ATV without registration plates and whilst engaging the driver, three men, wo of whom are in custody, approached, obstructed the ranks from performing their duties and behaved in a very hostile manner towards the ranks who were forced to summoned for assistance” police said. As a result, police further alleged, that the driver of the ATV drove away, while one of the suspects allegedly assaulted one of the ranks and violently kicked and damaged one of the rear lights of the Guyana Police Force’s vehicle. Police said at the same time, the other suspect allegedly pointed a gun at the ranks and subsequently discharged several rounds into the air before fleeing the scene in a motor car, driven by the shooter. The vehicle was shortly after intercepted with the two suspects and searched. The driver who was found in possession of a .32 Pistol with five rounds, produced a license to carry the said weapon but fled the scene with his vehicle leaving the weapon with the police; his accomplice was promptly detained. Two spent shells were found at the scene by investigators. 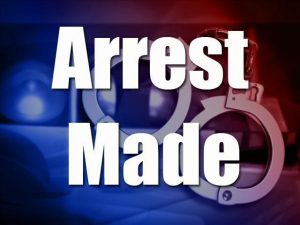 About 08:00hrs Monday morning the licensed firearm holder turned himself in at the Brickdam Police Station, police added.